And What is the Commissioner of Tailgating? There are extreme tailgaters. And then there is Joe Cahn! 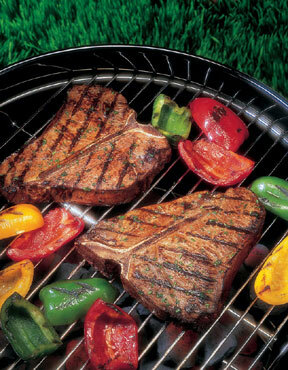 As the self-proclaimed Commissioner of Tailgating, Joe may have the best job in America. He invented it. 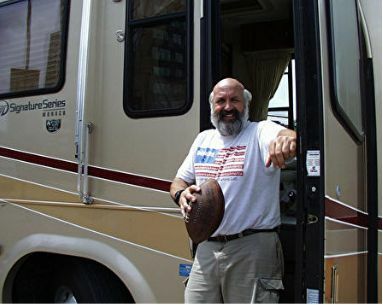 In 1996, he sold his business, the New Orleans School of Cooking, sold his house, bought a motor home and hit the road to explore what he calls "the new American community” Tailgate Parties. Joe Cahn is the world's only professional tailgater. He tailgates at football stadiums, NASCAR tracks, and any other event where they party in the parking lot. Now in his 20th season on the road, he has driven the JoeMobile over 1,000,000 miles, visited hundreds of cities, and has seen thousands of fans and has eaten his way through over 1,000 tailgate parties. During his Tailgating America Tours he has travelled to all 31 current NFL stadiums and stadiums that are long gone, over 126 college stadiums, and every current NASCAR track, and other tailgating venues…Steeple chase, Jimmy buffet concerts, baseball opener’s, AND THE LIST GOES ON AND ON…. The Commish has tailgated with hundreds of thousands of people and served more than 421 pots of Jambalaya! Joe Cahn is the Commissioner of Tailgating. The Commissioner's job is to promote tailgating, the Celebration in the Parking Lot. It's the new community social and the biggest weekly party in the nation! He's meeting the fans, the Tailgaters, AND the folks on the road, in the rest stops, at the campgrounds, in the parking lots of America! He wants to make sure everyone is invited to the party. He's living the American dream. It's every sports fan's fantasy!